Recently, Saudi Arabia’s top cleric declared that Iranians ‘are not Muslims’ and are of Zoroastrian descent. 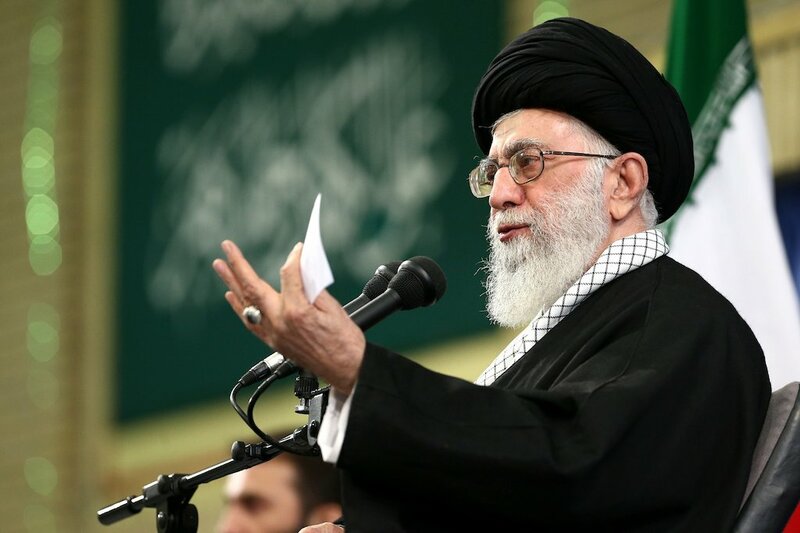 The war of words began a day after Iran’s Supreme Leader, Ali Khamenei accused Saudi authorities of ‘murdering’ Muslim pilgrims in last year’s hajj pilgrimage. Earlier in January 2016, the execution of prominent Shiite cleric Sheikh Nimr al-Nimr in Saudi Arabia revived the question of sectarian conflict lying at the heart of Saudi-Iranian hostility. While some academics and pundits argued that the execution of the cleric unearthed long-standing but hidden Sunni-Shiite sectarianism in the region, others argue that this framework is an artificial religious division that is instrumentalized for geopolitical motives. It is important to understand that while the current exchange between the Saudi Arabia and Iran appears to be played out in sectarian terms, the conflict between the two powers is not driven merely by Sunni-Shiite enmity or even Arab-Persian ethnic differences. This perspective distorts analytical focus and oversimplifies regional dynamics, and consequently, Saudi Arabia and Iran’s motives are misunderstood. At the heart of struggle is the question of the balance of power between Riyadh and Tehran. The conflict is informed by two radically different visions of regional order. Iran’s system has enshrined the role of religious authorities in political life and has given people a partial say in governance through elections (a hybrid theocracy-democracy). Saudi Arabia has effectively de-politicised its clerics and continues to abhor the principle of democratic elections. The Iranian uprisings: a threat to the Saudi monarchy? For a short while after Iran’s 1979 Islamic revolution toppled the pro-Western shah, the new Islamic Republic established a policy of exporting the Iranian revolution, attempting to foment Iran-style theocratic uprisings around the Middle East. This was a threat to Saudi Arabia’s heavy influence in the Middle East, and arguably to the Saudi monarchy itself. Founding leader of the Islamic Republic of Iran, Ruhollah Khomeini explicitly argued that Islam and hereditary kingship were incompatible – a threatening message to the Saudis. In response, Saudi Arabia and other ultra-conservative Persian Gulf monarchies formed the Gulf Cooperation Council (GCC), an organisation initially designed to counter and contain Iranian influence. It is essential to understand that the Saudi monarchy is deeply insecure: it knows that its hold on power is tenuous, and its claim to legitimacy comes largely from religion. The Islamic Republic of Iran, merely by existing, challenges this legitimacy — not because it is Shiite, but because its theocratic revolution was popular, thus claiming to represent Muslims better than the Saudi monarchy. Thus, both powers seek custodianship of the Islamic world and both play on religious credentials to that end. The two countries have opposing agendas on a host of matters, ranging from OPEC’s oil production policies to the U.S. military’s role in the region, as well as the bloody conflicts plaguing the Arab world. The contest for influence also plays out in the domestic political systems of the region’s weak/ quasi-or fractured states, like Afghanistan, Iraq, Syria (states in which there is a sovereignty dilemma), which are also breeding grounds for al-Qaeda affiliates like ISIS (Islamic State of Iraq and Syria) that work to widen the existing fissures. It is important to look beyond the vitriol and to apply a more accurate interpretative framework in understanding the Saudi-Iranian standoff. The roots of enmity are not simply sectarian, rather they are geopolitical and ideological in nature with both powers vying for regional influence. Associate Researcher at CEI-IUL. Associate Member of the Centre for Iranian Studies at SOAS. She is the author of ‘Khatami’s Iran: the Islamic Republic and the Turbulent Path to Reform’ (London, I. B. Tauris, 2009, 2013) and ‘Revolution and Reform in Russia and Iran: Politics and Modernisation in Post-Revolutionary States’ (London, I. B. Tauris, 2012).